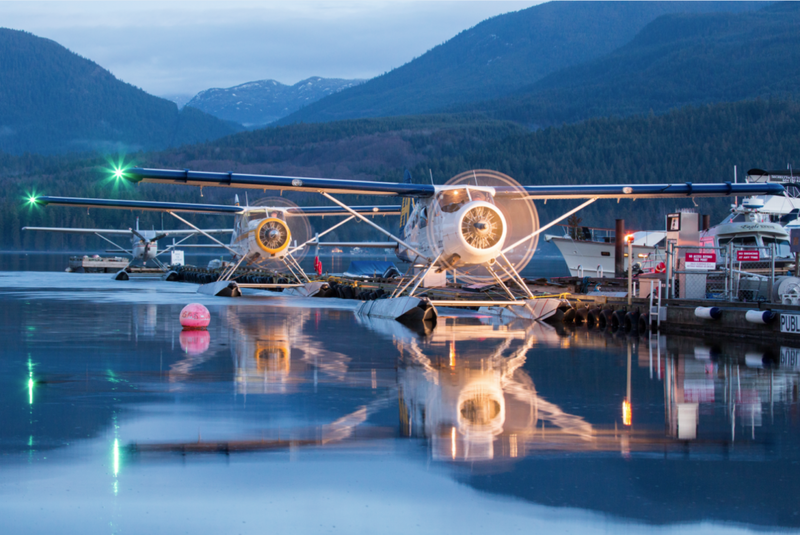 In a few years, the de Havilland Canada seaplane fleet that transports 500,000 passengers a year on the south coast of British Columbia could be humming a new tune thanks to electric propulsion. The idea of electric-powered conventional and vertical takeoff and landing (eVTOL) aircraft has recently captured public imagination and garnered a lot of attention in the popular press. 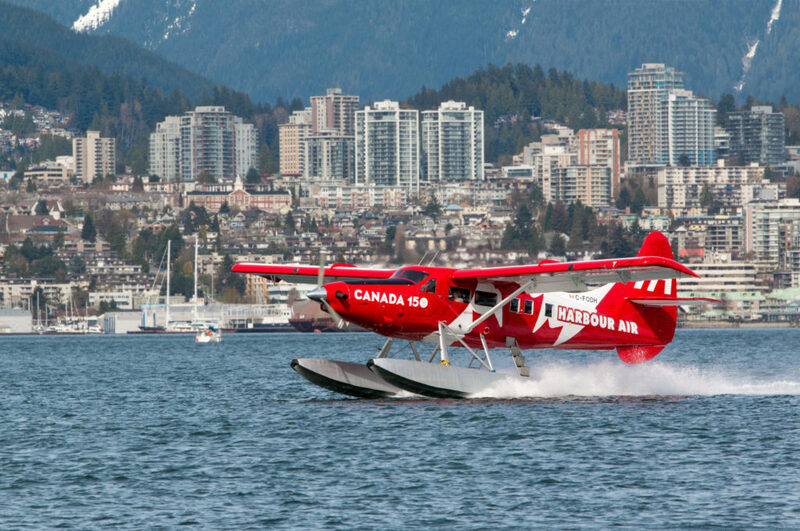 On March 24, Harbour Air of Vancouver announced a partnership with magniX (pronounced magni-ex) of Seattle, Wash., to convert the airline’s entire fleet of 39 de Havilland Canada DHC-2 Beaver, DHC-3 Turbo Otter and DHC-6 Twin Otter seaplanes to 750 hp (560 kW) magni500 electric motors. The rumble of a Beaver flying overhead has been part of the B.C. aviation scene for 70 years, but the antique Pratt & Whitney R-985 Wasp Jr. and popular P&WC PT6A turboprop engines are costly to maintain for an airline that flies 30,000 short-haul flights annually. In 2007, Harbour Air began calculating and offsetting 100 per cent of its carbon emissions to become North America’s first fully carbon neutral airline. magniX believes the biggest opportunity for zero emissions electric aircraft is on short haul passenger and cargo routes. It happens that Harbour Air flies one of the most compact airline route networks in the world, which makes it an ideal candidate to become an all-electric airline. 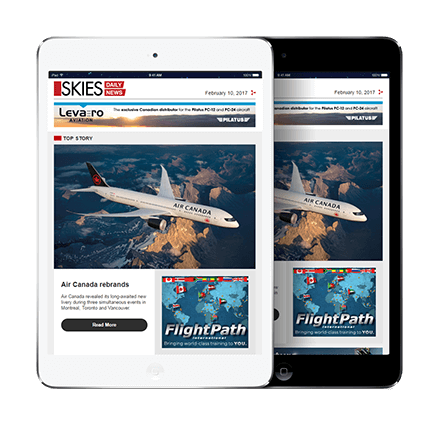 This summer, its de Havilland fleet will fly 14 routes that cover between 22 and 63 miles and which are served by 15- to 30-minute flights (a Cessna Caravan is tasked with the airline’s longer routes, linking Vancouver with Seattle and Tofino). This means that electric seaplane service is practical with today’s battery technology (with a 30-minute energy reserve). Electric aviation promises a step change in aircraft economics thanks to ongoing improvements in the power density of brushless electric motors and the energy density of lithium-ion batteries. The automotive and consumer electronics industries have largely financed these technological advances, but investment is now flowing into electric and hybrid-electric fixed-wing aircraft programs led by several companies as well as NASA, which is building the X-57 Maxwell electric research aircraft. The promise of electric aircraft propulsion is high energy efficiency, significantly lower energy and maintenance costs, improved performance, lower noise, zero greenhouse gas emissions, no carbon taxes and an attractive pathway to new mobility options. The challenge is that lithium-ion batteries have on the order of 50 times lower specific energy than liquid fuels (based on 200 watt-hours of energy per kilogram), but the energy density of batteries is rising by five to eight per cent per year. magniX was founded 10 years ago in Australia as an electric propulsion lab funded by the Singapore-based Clermont Group, which is owned by New Zealand billionaire Richard Chandler. About 18 months ago, magniX developed a breakthrough high power-to-weight brushless electric motor ideally suited for aviation. That’s when the company quickly pivoted from research organization to a business, opened a new world headquarters near Seattle, and hired dozens of engineers and software experts in the U.S. and Australia to accelerate motor development, said CEO Roei Ganzarski in an interview with Skies. 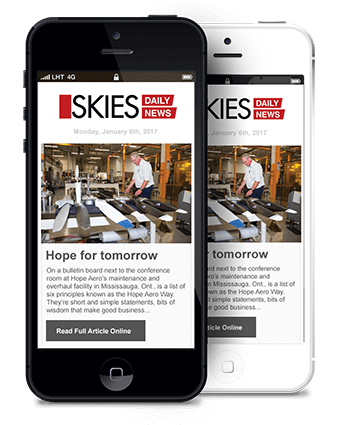 The company believes that low-cost electric-powered aircraft can revitalize short-haul air services that disappeared when fuel prices increased and airlines began retiring smaller aircraft a decade ago. Last September, magniX began testing a 375 hp (280 kW) magni250 engine south of Adelaide, Australia, on an “iron bird” that incorporates the forward fuselage of a Cessna 208 Caravan. The motor has an advanced electromagnetic architecture (with permanent magnets and coils), a lightweight structure and a closed-loop liquid cooling system (with heat exchangers). Ganzarski says the role of the “iron bird” is to rigorously test all components in the propulsion system to meet certification standards, as well as help optimize the location of system components inside the engine nacelle. Production of the first 750 hp (560 kW) magni500 motor is now underway, which will have a power-to-weight ratio of almost five kilowatts (kW) per kilogram (kg) based an engine weight of 120 kg (265 lbs). The motor is designed to replace a 750 hp P&WC PT6A turboprop and will produce instant and consistent torque at a full RPM range. The engine will direct drive a variable pitch propeller which will eliminate the weight, complexity and maintenance costs of a gearbox. The propulsion system also includes an inverter and a “Xbrain” power management system which functions like a full authority digital engine control (FADEC) and is also designed to ensure an intelligent, reliable and failsafe aircraft system. The Seattle company is not a battery manufacturer, but it’s working with three different energy storage makers to ensure the right battery package for every aircraft model it will power. Key considerations include the power density of the battery package, the cycle life of batteries, the need to meet tough aviation reliability standards, and the capacity of a company to be around for the long term. Certification rules for electric propulsion systems are still being finalized by the Federal Aviation Administration (FAA), Transport Canada and the European Union Aviation Safety Agency (EASA) but considerable input has been received from the industry through organizations such as SAE International, ASTM International and the General Aviation Manufacturers Association (GAMA). Ganzarski says magniX is designing its engines to meet the stringent FAA FAR 33 certification requirements of liquid fuel engines when it comes to reliability and safety, and it will close any gaps when the electric propulsion rules are finalized. Harbour Air Aerospace Services (HAAS) and its predecessor Aeroflite Industries has more than 40 years of experience maintaining, overhauling and repairing Beaver and Otter seaplanes, and has converted numerous Otters (and a few Beavers) to P&WC PT6 turbine power. This summer, components will start arriving in Vancouver to convert the DHC-2 to the magni500, with the first test flight scheduled for November. 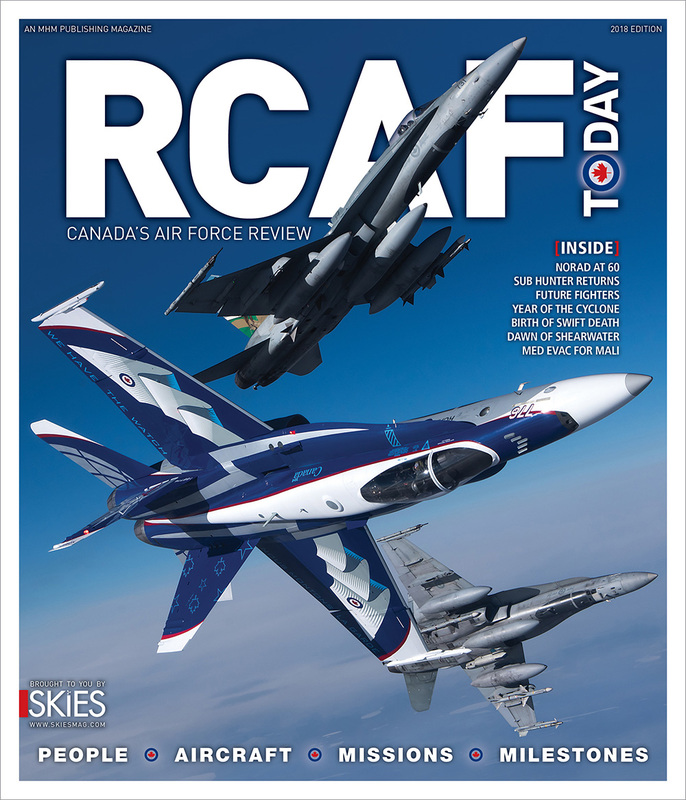 The retrofit will see batteries replace the fuel tanks in the belly of the Beaver and others probably will go forward of the firewall to address weight and balance issue that will result when the 650-lb R-985 is replaced with an engine that weights 60 per cent less. The aircraft will then be used in the magniX engine certification program and by Harbour Air to “beta test” the electric aircraft on various routes under different operating conditions. McDougall expects that the weight of the first-generation batteries in the Beaver will result in some loss of useful load, but the Beaver will still be profitable thanks to a dramatic reduction in energy, maintenance and overhaul costs. Then, as the energy density of lithium-ion batteries gradually improves, the battery weight will go down and useful load will increase. Ganzarski said that an all-electric Beaver will cost about $12 in energy costs to operate on a 100-mile flight. Expressed another way, MagniX expects the transition to electric propulsion to reduce direct operating costs by 50 to 80 per cent, including the replacement cost of the battery. All batteries have a limited life, but there are various energy management strategies available to extend the charge life, just as with other electric vehicles. On West Coast docks, avgas costs about $1.50 a litre and jet fuel about $1 a litre. 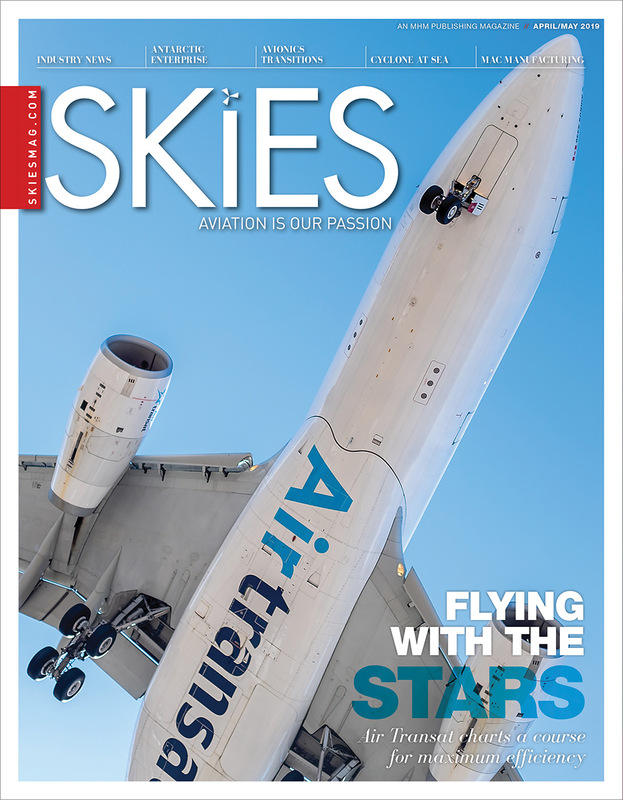 McDougall believes that the transition to electric propulsion will significantly reduce the airline’s energy and maintenance costs, and believes there may be a way to pass the savings on to passengers in the form of lower ticket costs. Millions of people travel between destinations on the B.C. coast by marine ferry annually, but tens of thousands could be tempted to fly by seaplane if the fares were less. The Beaver carries six passengers, but the airline’s workhorse is the 14-passenger DHC-3 Turbo Otter fleet, which was previously converted from P&W R-1340 Wasp pistons to P&WC PT6A-34 turboprops using Vazar conversion kits. Once the magni500 is certified, Harbour Air plans to obtain a supplemental type certificate (STC) to install the magni500 on its Beaver and Otter and also undertake magni500 conversions for other customers. Harbour Air overhauls its Beavers and Otters every five years, which is probably the best time to replace a propulsion system. No problems are anticipated operating the electric engine in a salt water environment since it will be less exposed. Marty Allard, general manager of the Vancouver Harbour Flight Centre, the city’s seaplane terminal, is excited by the prospect of electric seaplanes operating from its modern facility, which has 22 aircraft slips and handles more than 300,000 passengers a year. 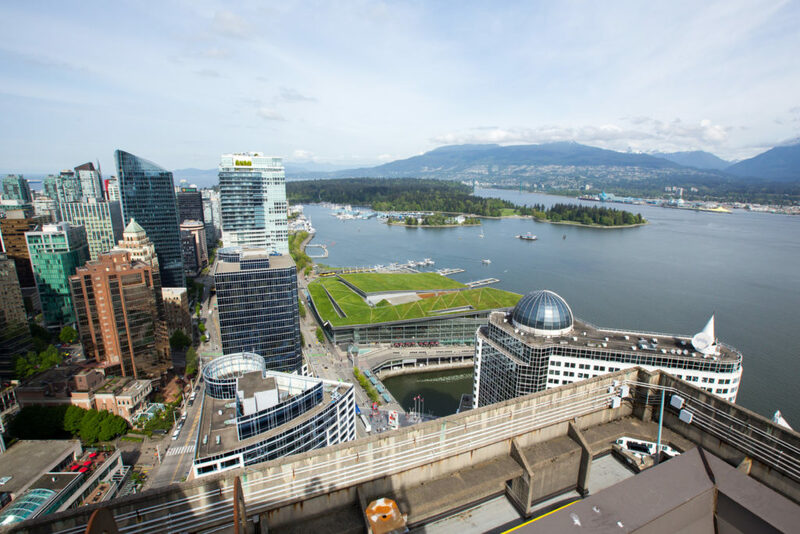 “We have condo towers right on top of us so the reduction in noise and carbon emissions will provide an immediate benefit to residents living in Vancouver and Victoria Harbours,” said Allard. The seaplane terminal owned by Ledcor is part of Vancouver’s Convention Centre, which is a green building design that has LEED Platinum certification. The terminal already gets a lot of “walk in” customers who are attending a convention or taking a cruise to Alaska, and he expects the novelty of taking an electric aircraft flight will stimulate more business. Three weeks prior to the Harbour Air announcement, Danny Sitnam, CEO of Helijet International, revealed at a Vertical Flight Society panel at Heli-Expo 2019 (moderated by Elan Head of Vertical, Skies‘ sister magazine) that the world’s most successful helicopter airline is considering electric-powered vertical takeoff and landing (eVTOL) to expand its short haul route network in Vancouver and potentially the Seattle area. “Our customers are already asking us if there is any way to reduce their commute time to our heliport in Vancouver,” said Sitnam. 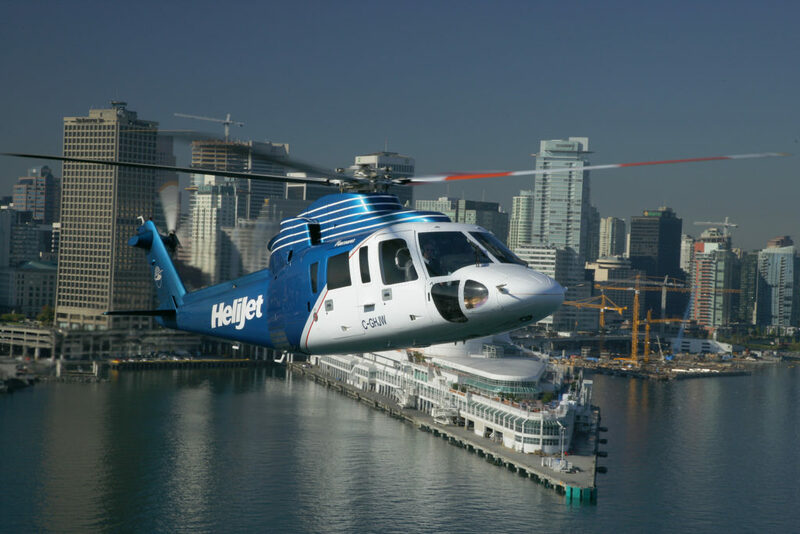 Helijet flies 12-passenger Sikorsky S-76s on its trunk routes linking Vancouver harbour with downtown Victoria and Nanaimo. A round trip saves at least three hours of travel time compared to airport-to-airport or ferry service, but many of its passengers travel another 60 to 90 minutes by road to reach their suburban office or home. “We see the potential for eVTOL aircraft to fly shorter routes feeding our mainline routes at our hub in Vancouver and potentially a new hub in Seattle. Sitnam expects that eVTOL services could be introduced in the next five to 10 years depending on aircraft certification and some eVTOL manufacturers believe that Helijet could be an early adopter for their aircraft.